Whether you’re already a seasoned athlete or just starting a new exercise routine, apps can help make the process easier. There are several apps that track your steps, weight loss, and other areas of progress so you can see what you’re doing well and where you need to improve. But, you may not yet know about fitness rewards apps. These apps seriously pay you to lose weight, stay in shape, or just get moving! Sometimes, all you need is some extra motivation to get started. The developers of these apps know that, and money is a good motivator. The obesity epidemic is real, with the percentage of obese adults in the United States ranging from 22% to almost 38%, depending on the state. What better way to motivate people to get healthy than to reward them for their time they spend doing so? In this article, I’m going to talk about one of the best apps for losing weight and getting rewarded, plus 12 more that can do the same for you! What’s the Best Get Paid to Exercise App? HealthyWage is, perhaps, the most loved fitness app that rewards you to exercise. Although there are several out there, which we’ll get to in a moment, this one seems to be one of the most trusted and easy to use. HealthyWage is one of the best for people who like to work out with their friends and have some healthy competition. Having workout buddies is one of the best ways to lose weight anyway! But, this app capitalizes on your group workouts by giving you some extra motivation to beat your friends. It’s all in good, healthy fun! Basically, HealthyWage is an app that focuses on challenges. You can either participate in co-working challenges, which is great for offices who have several workout fanatics, and team challenges. One of the biggest motivators to have success with this app is actually peer pressure. When you see that someone else is performing better than you at your workouts, you might stay more motivated to improve. It sounds a little harsh, but humans are programmed to want to be a bit competitive, so it’s actually pretty genius. But, you can also make personal challenges, where you bet a certain amount per month that you’ll reach your goal to lose a certain number of pounds within a specific timeframe. If you meet your goal, you can win prize money! 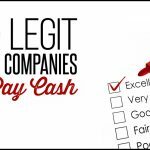 There are plenty of success stories that show you that real people do make money using HealthyWage. One of my favorites is from a woman named Kristin who won $4,000 from losing the goal of 114 in a year. When you’re betting your own money, you’re more likely to stick with your weight loss goals, so you don’t lose all that money! HealthyWage provides an easy-to-use calculator that can help you determine how much you might make with the app. The prize amounts vary depending on how much you wager, and what your goals are, so the calculator can help you figure it out for your unique situation. For example, if you lose 50 lbs in 9 months and bet $50 per month, you can walk away with up to $1,444, almost $1,000 more than what you paid in! 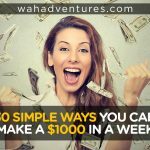 If you compete against others, you can make up to $10,000 for winning a challenge. You can visit the HealthyWage website to sign up for an account. Or, download the iOS app or Android app and sign up through the app. 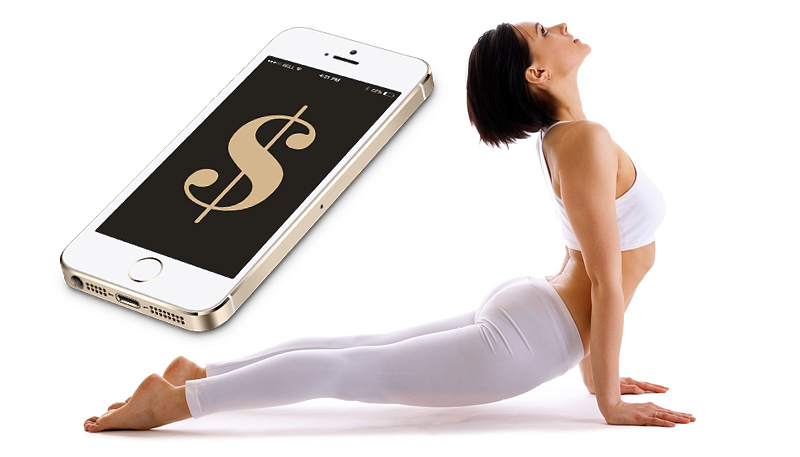 Make Money Working Out with More Exercise Apps! If HealthyWage doesn’t seem quite right for you, that’s okay. 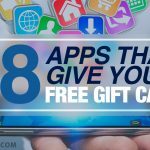 There are plenty more apps where that came from! The following apps will help you stay healthy and earn cash or rewards every time you work out. Achievement is a step tracking app available on Google Play and iTunes. The cool thing about this app is that it doesn’t just track your steps, but it also pays you to get moving more! You’ll get paid for the steps you take, eating healthy, getting enough sleep, and more – all to motivate you to get healthier overall. You’ll earn points for each healthy activity. When you earn 10,000 points, you get paid $10. 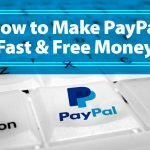 The app will pay you via PayPal or directly to your bank account within 3 to 7 business days. You can even connect the app to other apps, like Fitbit or Samsung Health, so that all your important health information gets recorded and rewarded. Bounts connects to your fitness apps and devices, like the Fitbit, to reward you for healthy activities you do every day. You’ll earn points for healthy things you do, such as banking steps from walking. Then, use those points to join Bounts challenges, which vary daily. One day, you might see challenges for playing tennis, while another day could have a healthy eating challenge. Whatever the challenge, you can bet that it’ll be good for your health. If you happen to win a challenge, you can earn more points toward fun prizes in the reward catalog. Bounts is available for iOS and Android devices. You won’t get paid for using Charity Miles, but you can get your favorite charities paid! This is a great way to earn money for awesome charities just by staying healthy. Anything you do that keeps you moving, from taking a morning run to walking to the coffee shop, can earn you some more money. Charity Miles partners with several top charities and you can choose what one you want your money to benefit. Charity Miles can integrate with Fitbit and other devices to keep all your information together in one place. DietBet is another super popular app available on iTunes and Google Play. 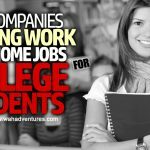 This one is probably the most similar to HealthyWage. You can bet on your weight loss goals by hosting a diet challenge or joining an already formed one. DietBet also has weekly challenges in which you can earn even more prize money. If you happen to win a challenge, you get to keep the prize money that other people bet! So, you may actually win even more here, since you won’t have to place continuous bets every month. Instead, give your initial bet and play for the prize money. The prize money varies depending on how many people join a challenge. Some of the current challenges on the site have pots worth over $100,000! If that’s not motivation enough to keep moving, I don’t know what is! ExerciseRewards comes from American Specialty Health. You’ll create an account and track various healthy activities through your other apps, like weight loss and exercise trackers. Then, use the ExerciseRewards app for iOS and Android to track your progress and see what rewards you’ve earned. This app even connects to several fitness centers all over the United States to track your workouts and reward you for them too! Working out at a fitness center alone can give you 5,000 points, and you can earn a point for every single step you take. Turn in your points for various rewards and prizes! FitPotato is an Australian-based app for iOS devices. This app pays you to move in various ways, whether that’s walking, running, or anything in between. You’ll join a monthly challenge where you need to complete at least three sessions each week. Whoever misses the least amount of activity sessions gets a share of the prize money! GOODcoins is another app that pays you when you do something healthy. You can connect the app to several other fitness devices and apps to keep track of all the good, healthy activities you participate in. Walking, running, and biking can help you earn coins even faster. But, there are also fitness challenges that you can compete in. Plus, GOODcoins gives you even more opportunity to earn some cash by taking surveys or completing offers. You can find the app on iTunes and Google Play. Higi is an app that tracks all of your important health information, like your pulse and blood pressure. You can use it to give your information to doctors, which makes it even more useful! But, you can also get rewarded just for monitoring your health using the app, which is available for iOS and Android devices. Join challenges to keep you motivated and on track with your health goals. You’ll get rewarded with prizes or cash, depending on the challenge, if you win! You’ll always know what the prize is before you start, too, so there aren’t any surprises. Pact is an app currently only available for Android devices. This app pays you for exercising in various ways, like visiting and using the gym, eating healthy meals, running around the block, and meeting your fitness goals. You can connect with various other apps and devices that track your health information so you can get credited for all of it. You’ll have the potential to earn cash every week by participating in Pact. Runister is the app that pays you strictly for running, so those who are into participating in marathons will love this one! You’ll get paid for the distance and time you run, plus you can earn extra by taking surveys given by industry leaders on new products and services. You can withdraw your earnings via PayPal once you max your earnings bar, or you can choose to donate your cash to charity. Runister is currently available for iOS devices only. If you love walking, then StepBet is for you. This app pays you for the steps you take, whether you’re walking around the home, office, or the local track. You set the goals you want to have and place your bets on your meeting those goals. Then, get paid when you meet them! You’ll need to join “Games” to get started. Games are like challenges you play with others. Each game lasts six weeks, and you can set goals for each week. When you reach your goals, you’ll split the pot with other players who reached their goals too. You can find StepBet on iTunes and Google Play. If you have the Walgreens app, you can also get rewarded for good choices when it comes to health and fitness! With Walgreens Balance Rewards, you can earn points toward cash rewards. The app not only gives you points for Walgreens purchases, prescription refills, and other Walgreens activity, but it also gives you points for staying healthy with exercise. Stay moving or complete activities that help you stay healthy, like quitting smoking, and earn points! You can get 20 points per mile you walk or run. Once you have enough points, you can redeem them for a cash reward! Wellcoin is an Android app that pays you for everything healthy. You’ll get Wellcoins from completing healthy activities. Integrate the app with your Fitbit, RunKeeper, and more to earn rewards. Once you have enough rewards to cash out, you can browse the Marketplace for a prize! Conclusion: Get Paid to Be Healthy! As you can tell, you can earn some awesome prizes, and even cash, just for being healthy. While being in good health is motivation enough for some people, it doesn’t hurt to get rewarded for your hard work. After all, everyone can use a little more inspiration to get and stay healthy. 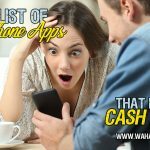 I hope you found an app or two that you love from this list. Have you used any of the above apps? Drop a comment and let us know your experiences!